Flemish Glass is one of our most popular options for doors. But what is Flemish glass and why do people love it so much? Flemish glass has the look of hand blown glass without the seeds and bubbles – or the expense! It slightly distorts the view through it so it allows light to shine through and brighten up your rooms while also giving your privacy. The old-world, slightly antique look of Flemish glass also gives your door a unique style. Whether paired with wrought iron, a rich wood, or both, Flemish glass has a dramatic, beautiful style that makes it one of our most popular choices. In fact, we often replace our customers’ existing door glass with Flemish glass for a beautiful new look. 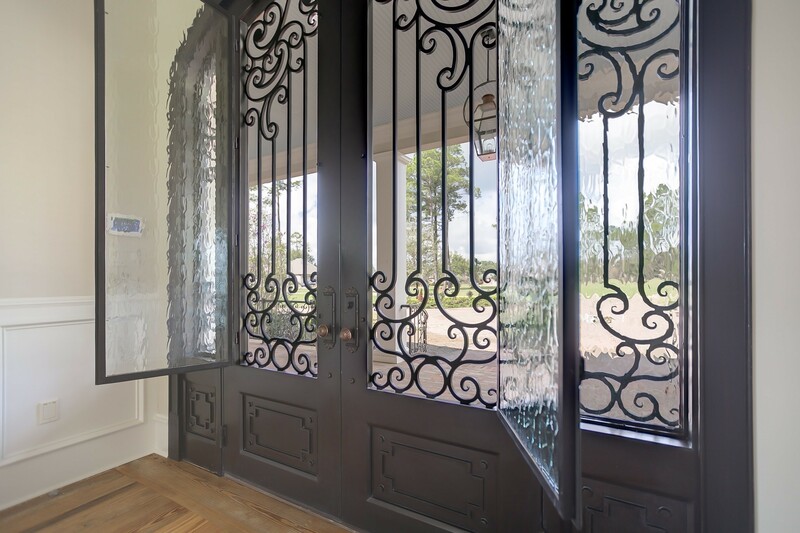 We offer in-stock and custom Flemish glass doors – browse doors here or give us a call at 504.887.5440 to find out more.